Are you looking to spend less on your next visit to Kuala Lumpur? Is Kuala Lumpur an expensive city to visit? We get this question a lot, and the answer…varies. 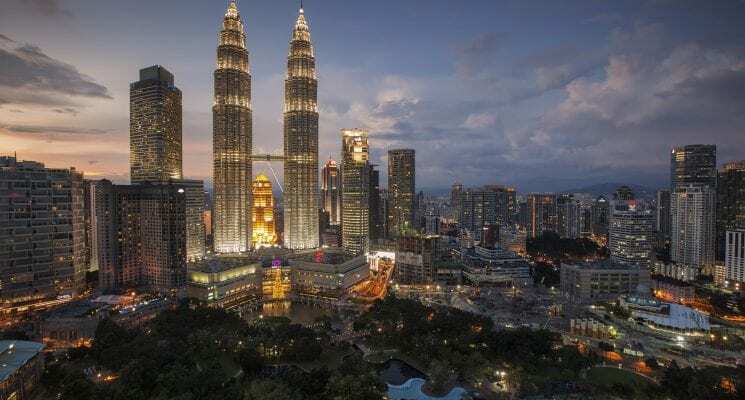 Travelers who have never been to Southeast Asia, especially people from Western countries, may find Malaysia’s capital city to be a budget-friendly destination. But for those who have stayed in the region for quite some time, Kuala Lumpur is definitely not among the cheapest places to travel. Having visited some inexpensive cities like Chiang Mai and Hanoi, I personally find Kaula Lumpur quite a bit more expensive than other Southeast Asian cities (except for Singapore and Hong Kong, of course). However, if you are traveling to Kaula Lumpur on a backpacking budget soon, don’t be discouraged. You’ll be delighted to know that the city actually caters to every traveling style: luxury, mid-range, and budget. 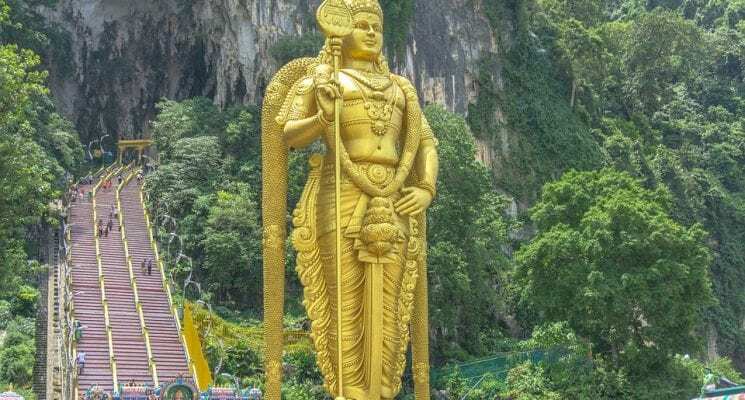 If you prefer to enjoy Kuala Lumpur without splurging, there are practical ways to make your Malaysian ringgit (MYR) go a long way. And we’re here to show you how. 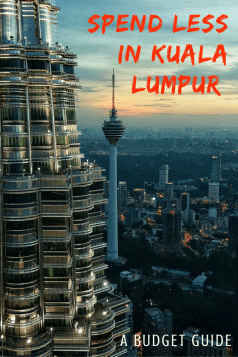 If you guys are looking for further adventures in the country after you’ve explored Kuala Lumpur check out our guide to things to do in Malaysia! Without further ado, here’s how to visit Kuala Lumpur on a budget. On a daily average, a budget traveler can spend within the range of $13.00 to $30.00 USD (53 to 122 MYR) in Kuala Lumpur, Malaysia. 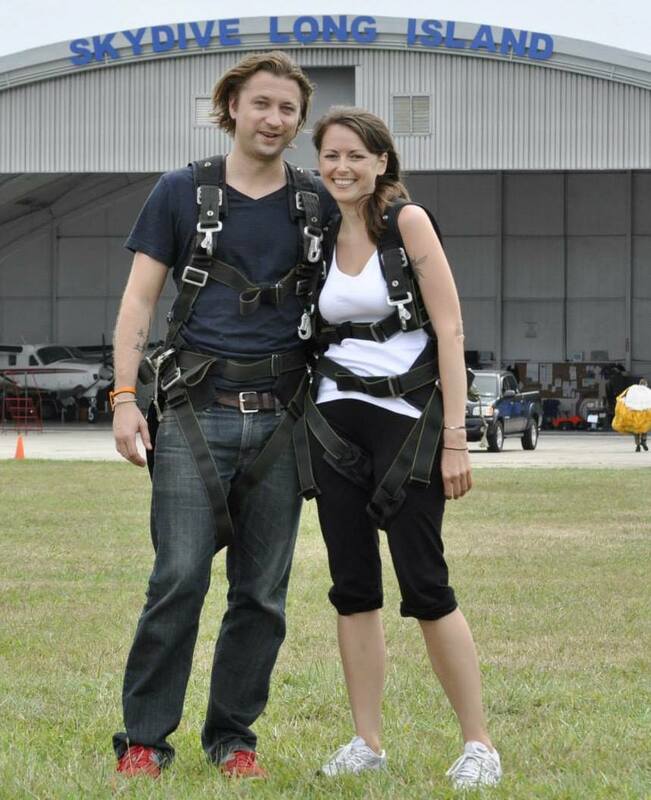 The costs include accommodation, food, local transportation, souvenirs, entertainment, and alcohol. 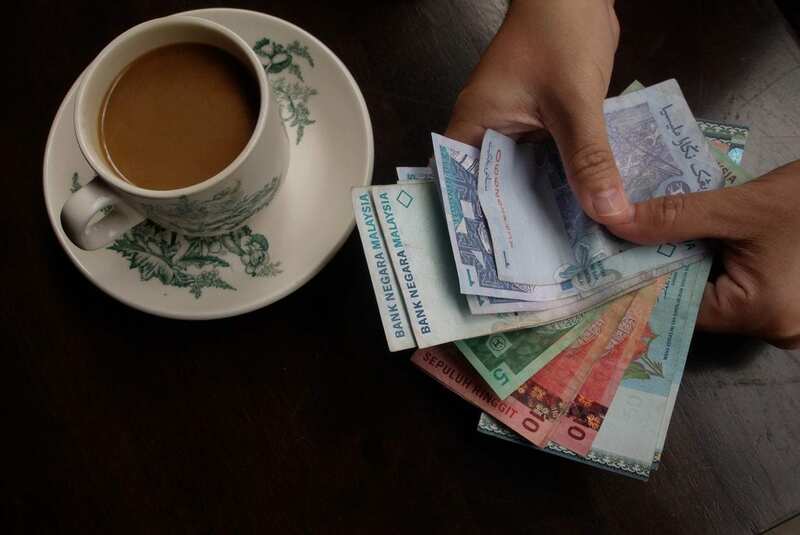 However, if you plan to drink a lot, dine at fancy restaurants, and visit a lot of attractions, be prepared to spend more than $50.00 (204 MYR) per day. Budget hotels and inns are scattered all over Kuala Lumpur, and most of the cheaper options can be found in Chinatown and Bukit Bintang. Many budget hotels in the city offer free breakfast and Wi-Fi. A good-quality budget hotel costs around $25.00 (100 MYR) per night. Book a budget hotel that doesn’t only fit your accommodation budget but also has proper license and positive ratings and reviews from actual travelers on hotel booking sites. Hostels in Kuala Lumpur can range from terrible to great, but it’s not hard to find an affordable and awesome hostel to stay in. Check out our guide of the best hostels in Kuala Lumpur to get you started . Located in Kuala Lumpur’s Chinatown, Mingle Hostel is one of the best hostels in Kuala Lumpur for travelers who appreciate modern facilities and a social atmosphere. Mingle Hostel is located within walking distance to transport links throughout the city, and finding your way around will be a breeze. They offer mixed and female only dorms, which are spacious, modern and offer everything you might need such as charging facilities, curtains, reading lights and secure lockers. The amazing rooftop lounge and bar at Mingle Hostel is a great place to socialize and make new friends. Try one of the delicious cocktails on offer, or enjoy your free breakfast with an amazing view here in the morning! There are plenty of hostel events and free tours, so just enquire at reception! Mingle Hostel has a fully equipped guest kitchen if you prefer to cook your own meals when you travel, as well as a library/book exchange facility and computer lounge where you can plan the next step of your journey. Mingle Hostel is a great and affordable place to stay in Kuala Lumpur if you’re traveling on a budget but still want to find a hostel that ticks all the boxes! Click here for the latest prices and more info! Located in Kuala Lumpur’s most coveted area Bukit Bintang, The Yard Boutique Hotel is a stylish and comfortable boutique hotel set in an old colonial house. The location is ideal for exploring all that Kuala Lumpur has to offer, and its just a countless shopping malls, one of KL’s best streets for food Jalan Alor Street, as well as plenty of bars and nightlife opportunities. The rooms at The Yard are all modern and provide guests with all the facilities a good hotel should. Lockers, a work desk, en suite bathrooms, TV, and huge, super comfy beds that you can sink into after a long day of sightseeing. The decor of the rooms is cosy, the warm lighting and wooden furnishing creating a homely vibe. There’s a beautiful courtyard with hanging lanterns and cast iron furniture, which create a relaxing atmosphere. The converted colonial house has a cosy and relaxed vibe, wonderful facilities and friendly staff, which make it one of the best hotels in Kuala Lumpur for travelers who like a bit of extra comforts while traveling on a budget. Kuala Lumpur has a very efficient and affordable public transportation system—take advantage of it to cut on your transportation costs. Taking the monorails will cost you from $0.49 to $9.00 (2-35 MYR), and riding the bus starts at only $0.25 (1 MYR). You can even go from one place to another without shelling out money on transport. 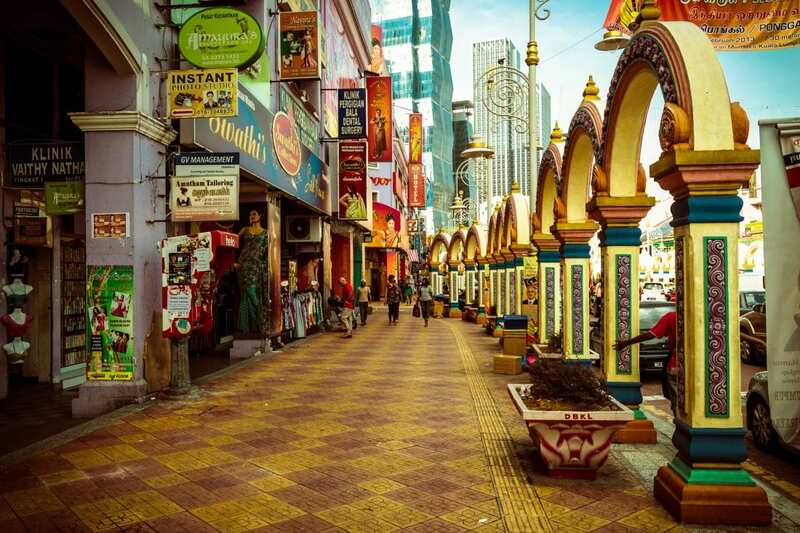 Some destinations in KL can be explored on foot, such as Little India and Chinatown. You’re lucky if your hostel is just close to these areas. As much as possible, avoid riding a taxi. 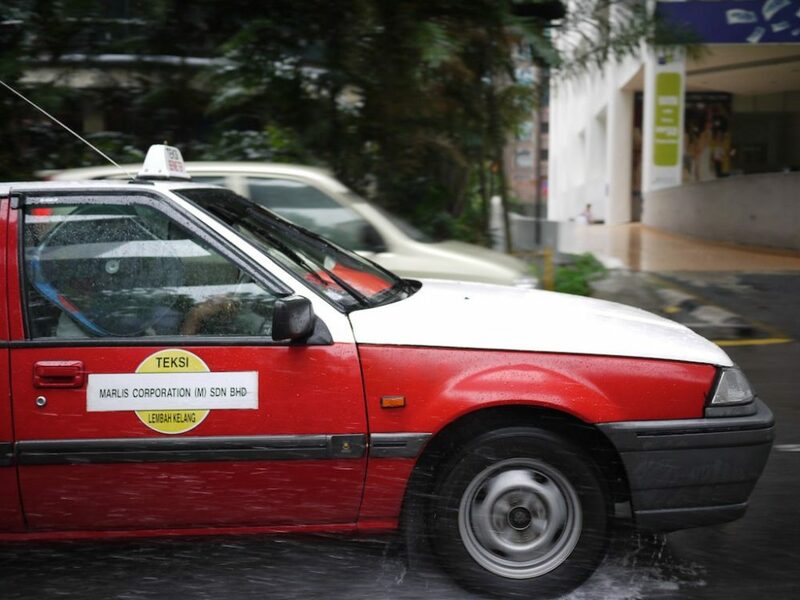 Taxi scams are common in many Southeast Asian cities, and KL is not an exception. Use the taxi only as a last resort, if you’re sharing the fare with two or more companions, or if the driver agrees to use the fare meter. Ride a budget taxi. In KL, you’ll find two types of taxi: the budget taxi and the premium taxi. Budget taxis (red-and-white sedans) are cheaper than premium taxis (blue station wagons). Aside from the cost, they differ in their passenger and luggage capacity. However, budget taxis are just as fast and comfortable as premium taxis. Insist on using the meter. Taxi drivers in Malaysia are required by law to do it, but some enterprising drivers would rather quote flat rates than charge the metered fare. Refuse if the driver asks for a fixed rate. And before boarding a taxi, make sure that the driver will turn the meter on. Bring loose change. Paying the exact fare amount will save you a lot, as drivers might claim that they don’t have change. 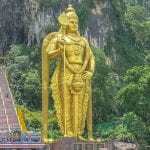 Being a cheapskate traveler that I am, I was able to explore the rich Malay, Indian, and Chinese heritage in KL for free. Tourists can join the free walking tours offered by the local city government. Each 2.5-hour tour is led by an English-speaking guide. Held every Tuesday, Thursday, and Sunday at 4:30 p.m., the guided walk takes visitors to the many traditional Malay wooden houses in Kampung Bharu, KL’s oldest residential district. If you’re a foodie, you’ll enjoy local cuisine such as Malaysia’s national dish, nasi lemak (coconut-flavored rice meal), satay (grilled meat in skewers), and tapai (sweet fermented rice wrapped in banana leaves). 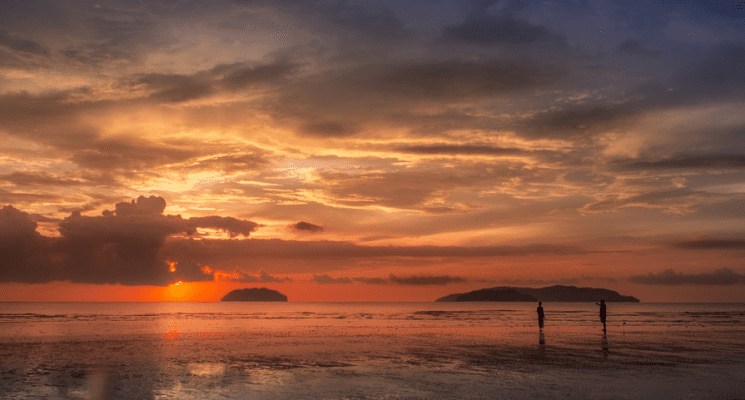 Travel photographers should visit three areas within Kampung Bharu that offer the best vantage points for capturing beautiful views of Petronas Twin Towers, KL Tower, and the city’s skyline. DSLR cameras that have wide-angle lens (with focal length between 21 and 35 mm) are great for shooting spectacular cityscapes. Popularly known as “Little India,” this residential and commercial district houses historical landmarks built from the 1920s to 1980s. If you join a guided tour around Brickfields, you’ll get to visit pre-war shops, temples, and art galleries, among many others. The tour is scheduled at 9:30 a.m. every first and third Saturday of the month. This tour takes tourists to Merdeka Square’s 11 historical spots, including British colonial buildings built in the late 19th century. It’s scheduled at 9 a.m. every Monday, Wednesday, and Saturday. However, if you prefer to explore KL on your own than tour with a group of 20+ people, you can visit other free attractions and sights in the city. The Eco Park is the oldest protected forest in Malaysia, which has earned KL the distinction of being the world’s only city with a natural rainforest. Pretty neat! A perfect spot for relaxation is the tropical garden’s man-made lake surrounded by lush greenery. Free guided tours in the garden are scheduled from Mondays to Fridays at 8 to 10 a.m. 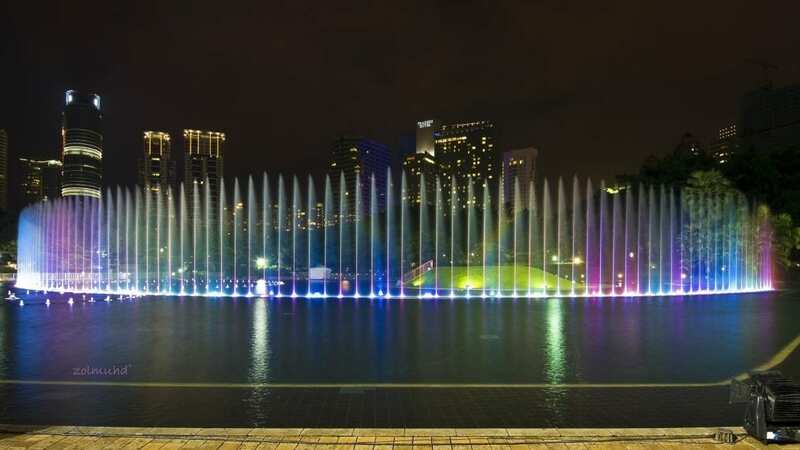 In the heart of KL lies a unique, attractive park that boasts of an elevated bridge, where you can get a fascinating view of the Petronas Twin Towers, and a captivating musical fountain that’s best viewed and photographed at night. The best and cheapest way to satisfy your tummy in KL is to eat local cuisine, as Western food in this city is a bit pricier. 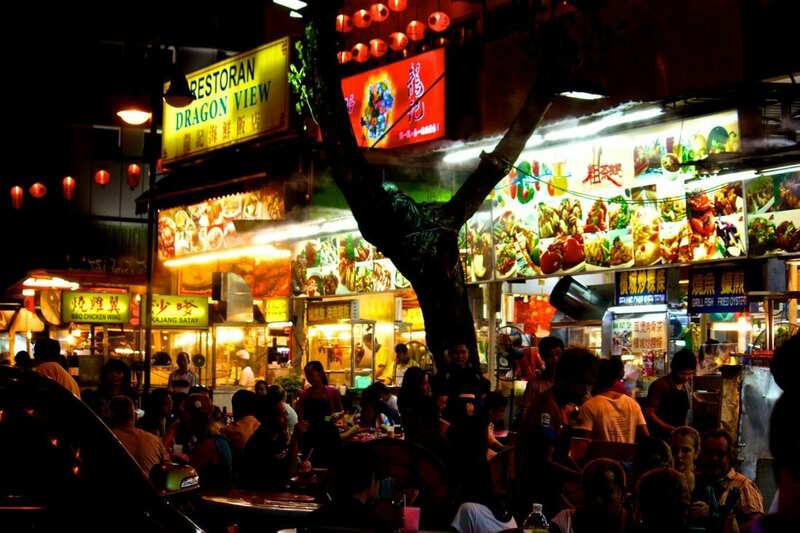 Explore the street stalls and hawker centers for good yet affordable Chinese and Indian food. For less than $2.50 (10 MYR), you’ll get not only a delicious, hearty meal but also a distinct local dining experience. In KL, many hotels provide free filtered drinking water to their guests. Save money by bringing your own portable container and refilling it with water from the hotel you’re staying in. However, if you’d rather drink commercial bottled water, you can find the lowest-priced ones at supermarkets. Sounds like a downer, huh? While cutting down on booze doesn’t seem like a fun idea (especially if you love the nightlife), it’s actually good for your pocket. Liquors come with ridiculous price tags because they’re heavily taxed in Malaysia, so it’s best that you do your drinking spree elsewhere. If you can’t fight your thirst for alcohol in KL, you can score cheaper drinks from bars that offer a Happy Hours promo and buying beer from a Chinese convenience store or coffee shop. KL is a paradise for bargain hunters with its many shopping areas and annual year-end sale. 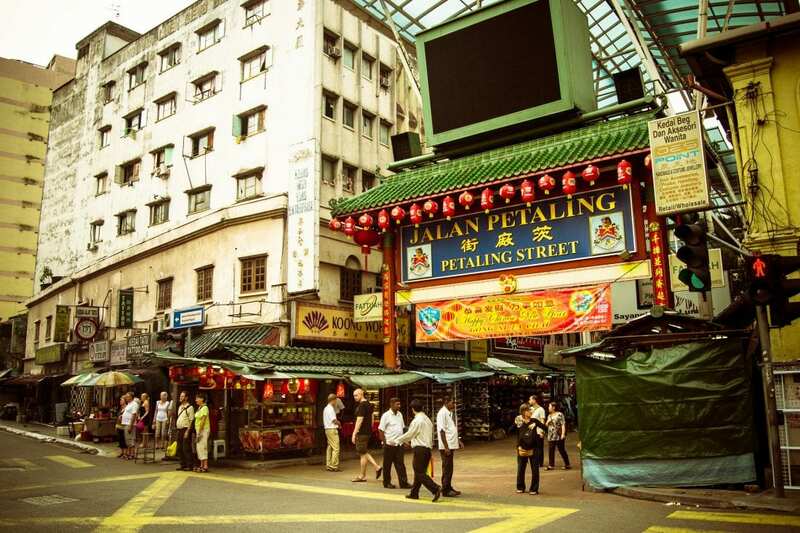 Head over to Chinatown and Little India for cheap souvenirs, clothes, food, and gadgets. So there you go guys. 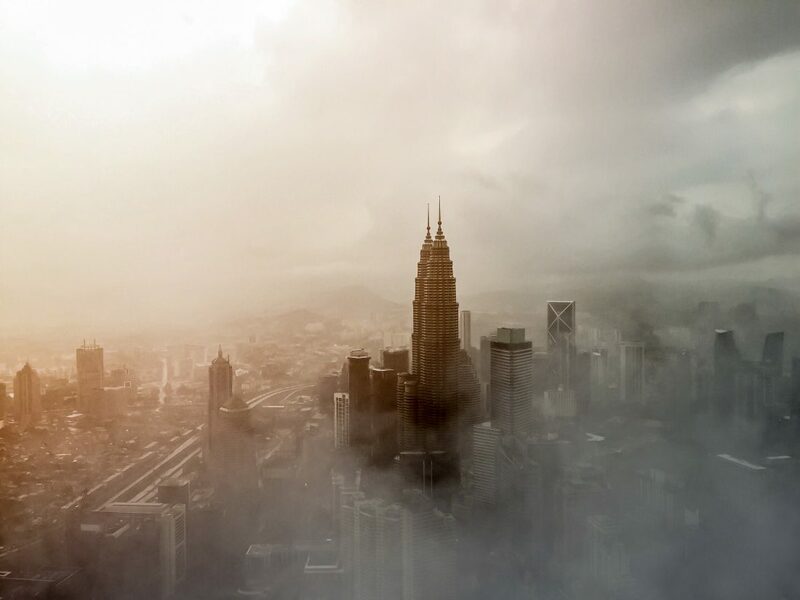 A nifty little starters guide to traveling Kuala Lumpur on a budget. Kuala Lumpur may come off as a quite expensive destination, but you can make your visit there as budget-friendly as possible. As long as you travel smart in this city, you’ll never have to go home broke. 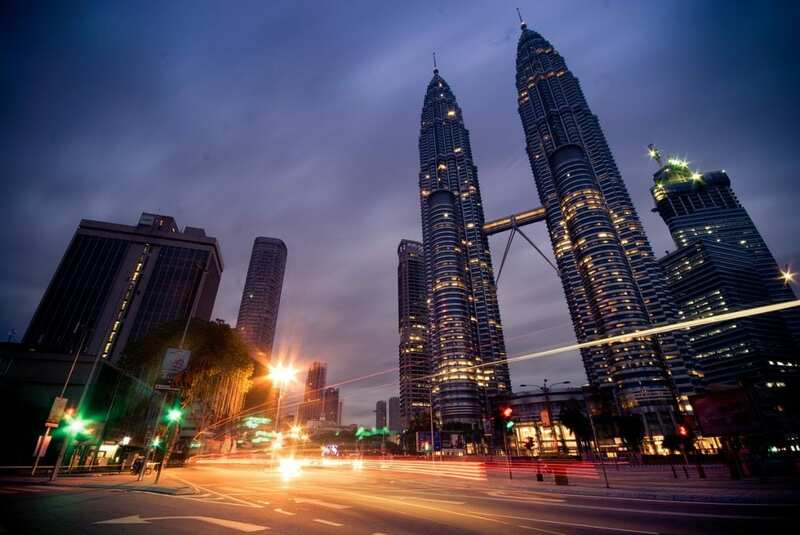 As always we hope to have given you something to think about, and a bit of inspiration for your next trip to Kuala Lumpur. Happy travels guys, and we’ll see you on the road! Thanks for sharing information. I am planning to visit Malaysia in May 17, with my daughter and husband. Coming from India & my budget is restricted, can you suggest which 2-3 cities i must visit in 5-6 days. And for accommodation what do you advice home stay or hotel ? There is a better way to get around KL. Taxis have long been deemed unreliable and are a big sham. They tend to take advantage of Caucasian tourists at every opportunity. I would suggest that tourists install an app known as Grab. 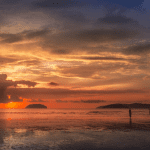 They offer way better services and lower prices to tourists who are looking to commute in SEA countries. Also, they’ll get a chance to feel the local Malaysian hospitality as well as tips to getting the best food and hotspots around the city. Thanks for this informative page. I’m going to visit KL for the 5th time next month, but I feel I haven’t got enough of it. 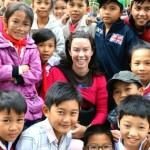 I do travel on a budget, so I’d like to go on these guided tours soon.